Disapproving Bun: Mr. Toes says... Ateeeeeention! WAAAAAAAKE UP! ... those M*nd*y tar pits won't take care of themselves, hoomin. PS: Follow Mr. Toes and Cleopatra on FB! "Hi Ho, Hi Ho. It's Off to Work We Go." ... might as well put our best face on it. 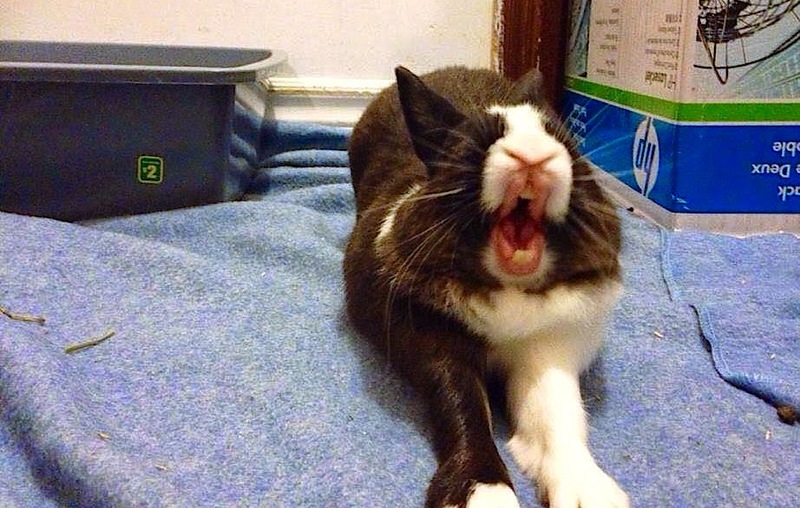 Oh a bunny yawn! This will help even Fleetie get through the day. Mr. Toes is delightful! Wait, I can't remember. Is this the M*nd*y we empty the tar pits or refill them?